Creative Super X-Fi Review - Massively-Awarded Amp Any Good? The headphone amplifier that makes you hear music like you’re listening to a speaker sound system. One of the biggest revelations at CES 2019 was the Creative’s headphone amp. 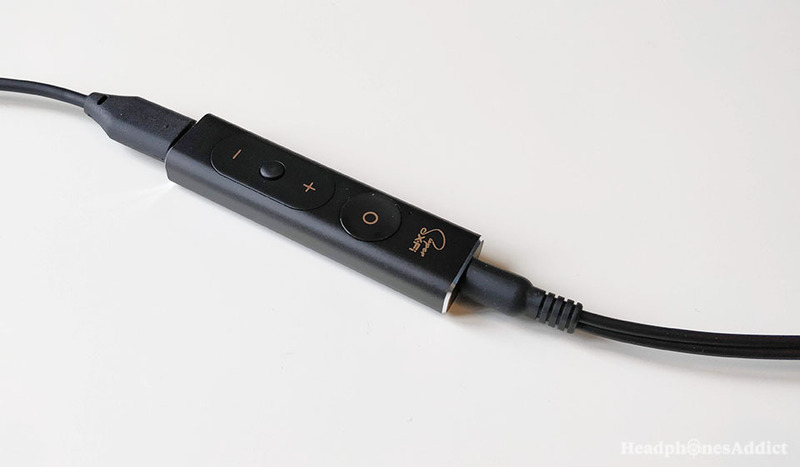 It’s called Super X-Fi, needs a USB-C (or Micro-USB) connection and once powered on, it expands the tiny soundstage of headphones into surround sound proportions (virtual surround sound). Now, it’s not completely new. They’ve been working on this Creative technology for some time, but they’ve finally released a market-oriented product with it. Of course, there are alternatives—like the iFi xDSD—but they usually cost a lot more money. 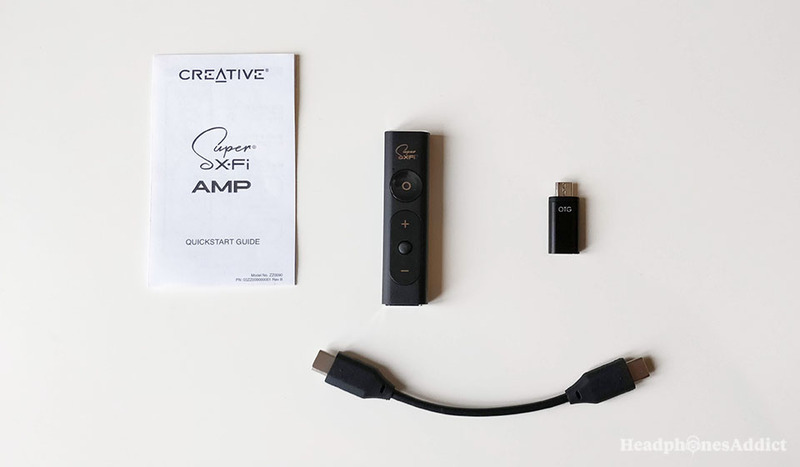 Creative Super X-Fi is far more affordable. 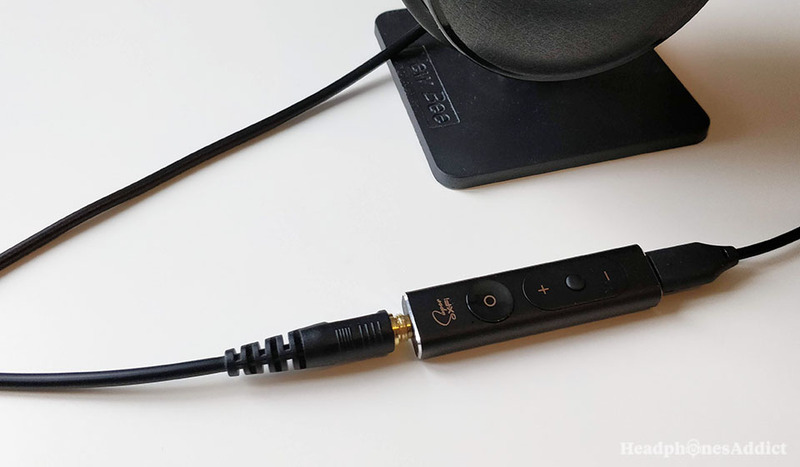 It’s a small, wired headphone amplifier that you can use with a smartphone to power up higher-end headphones (up to 600 ohm) and expand the soundstage with a press of a button. Without further ado, it’s quite impressive (but not without faults). Read more about it below. Basically, there are 4 steps (all of them described in the quick start guide). Where can I download the SXFI app? The easiest is to go to Google Play store or App Store and search for the application, search “SFXI app.” Download and install it. Now, since the amp is relatively new, you might have some problems finding the app in the store (some countries aren’t supported yet). In fact, at the moment of writing this, the only countries supported are Singapore and USA. If you’re somewhere else, you’ll have to wait until the amp is shipped in your country as well. How to personalize your profile on the Creative Super X-Fi? Once you have the app installed, you need to create your personal profile by registering with an email. Then you get to personalize it by taking photos of your ears and face shape. The AI in the app will determine the best settings for your ears and head shape, so the holographic audio effect works for you. After that, you can tell the SXFI app what headphones you’re using. In the settings menu of the app, you can choose from different headphone brands and models (press on “headphone selection”), though not many are supported at the moment. You’ll probably have to select “Unknown Headphone” (ear cups) or “Unknown In-Ear” (earphones) if you’re using in-ear headphones. Creative will expand the selection with time, so more headphones are available. Nonetheless, the external amplifier should work even with unknown headphones. How to save the settings to SXFI amp? Once you’re done changing setting in the SXFI app, you can then plug the amplifier in your Android device, and the amp automatically uploads and saves the settings. You’ll get the “Configuration Done!” message when finished. That’s it. You’re done with the setup. Now the only thing you have to do is play some music and turn it on. Enjoy magical soundstage. Help! My Creative Super X-Fi amp doesn’t power on when connected to my smartphone? While the SXFI amp should work out of the box for most Android phones, some need additional setup. Some Android phones don’t have it enabled automatically. What you can do is go to Android’s top menu where you control Wi-Fi, Bluetooth, Mobile Data and so on. Once in the menu, enable “OTG” before plugging in the amplifier. Also, make sure the battery is powered up since some phones turn off the function on low battery. Getting the latest firmware for the amplifier is as easy as connecting it to your phone and accepting the apps proposal to look for the latest version. Once updated you’re good to go. How to connect to a laptop? 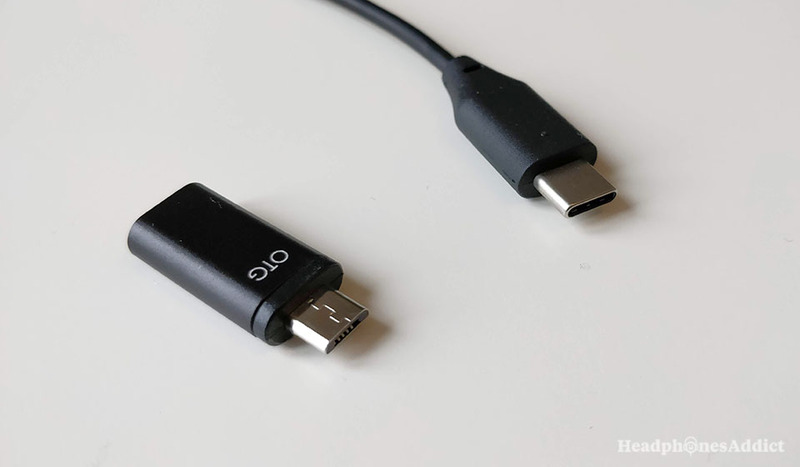 Unfortunately, you only get a Micro-USB to USB-C dongle to connect to smartphones and tablets. But unless your laptop has USB-C/Micro ports, then you’ll need to get a USB-C to USB-A dongle which is an additional cost. In case you already have it, then you can use the amp like a USB sound card to amplify the music and make the movies and games immersive. Gaming experience in open worlds becomes much more real as you can hear direction with pinpoint accuracy. And, watching movies with the X-Fi amplifier is a completely new listening experience. You won’t want to watch it any other way. Does the built-in mic still work when connected? Yes, the mic still works when the DAC AMP is connected. It works in “on” and “off” modes. It changes the voice a bit but isn’t annoying. The external amplifier is the size of a finger. It’s relatively small which is a good thing. It’s easier to take with you if need be. Basically, it functions as a short cable extension with a button. Moreover, the casing is made of aluminium, and it has 2 buttons. One is the power on/off switch that controls the holographic effect, and the other with “+” and “-” to control volume and play/pause in the middle. It looks unassuming yet stylish. While it doesn’t have any IPX rating of sweat-protection, this is probably because most people don’t use amps while running or working out. The added weight would make listening more difficult. Overall, it feels well built with a black finish and shiny ends on both sides. The package includes a USB-C to Micro-USB adapter. You don’t need a lot of accessories with the amplifier, so you don’t get them. The only thing you get is a USB-C cable to connect the amp to your Android phone, and a USB-C to Micro-USB adapter in case you have an older model. Maybe a carrying bag would be nice but isn’t a huge disappointment. The amp includes the SXFI button. volume up and down, and a play/pause button. Now to the important part. How does it actually change the sound? Nah, just kidding. Actually, we don’t know much about the exact process of how the software does that, but the important part is that it works. Imagine you are sitting at home and have a 7.1 sound system in place. That means a center speaker, 2 front speakers, 2 side speakers, 2 back speakers and a sub-woofer for the lows. That’s 8 speakers creating a perfect virtual surround sound experience. You play your favorite audio tracks and enjoy them from all angles and directions. You can hear the surround audio and fully immerse in it. Now, what if you could recreate this with any headphones with a press of a button? I’d say that’s not possible before hearing it myself. But, it works. The difference is staggering, and you can’t miss it. Headphones with horrible, center-of-the-head oriented soundstage suddenly expand and become real 3D sound capable headphones. You can try that with 3D audio Youtube videos and hear the difference. First, listen to video without the amp and try to guess the direction (make sure to use bad headphones for maximum effect). Then turn on the amp and test if it’s any easier. You’ll be surprised. We tested with Creative Aurvana SE & Trio (not Aurvana Live), Beyerdynamic DT 770 Pro, and a bunch of different earbuds. As for music, it comes alive when walking on the street or relaxing on the couch. You get the feeling you’re packing the whole surround sound speaker system in your cans, be it over-ear, on-ear, or in-ear headphones. The vocals separate from instruments, the instrument sounds come from different directions, it adds layers and expands the space that’s hard to believe. Honestly, it’s quite amazing what software can do that. You no longer have to spend significant amounts of money for better headphones with bigger soundstage to get a better idea of how music would sound live or with a high-end speaker system. Just plug in the SXFI amp and play some audio tracks. So simple but rewarding. If you have a keen ear you’ll notice an “echoey” effect with the vocals. It’s a small difference but noticeable. For purists this might be a deal-breaker. For me personally, it isn’t a big deal because the improved soundstage is much more enjoyable. Vocal intensive music won’t be perfect, and that’s a real shame. Echo in vocal is omnipresent in all music and only goes away when you turn off the Super X-Fi effect. So, if you’re an audiophile, you might want to save some money for a higher-end 3D amplifier like the iFi xDSD. But if you’re a normal music enthusiast and just want to enjoy your music “in a bigger space” for an affordable price, then this is a great choice. To each their own. A non-audiophile will love the Creative SXFI amp. The sound signature when “off”? You can listen to a set of headphones without the effect turned on. In the “off” position the sound signature isn’t changed much and has a nice balance. Therefore, it’s perfect for for all genres of music. You can listen to headphones with higher impedance. Can I listen to high-end headphones with it? The Super X-Fi amplifier can power up headphones up to 600 ohms so you can listen to your best headphones with ease. Your Android device isn’t powerful enough to drive higher-end headphones, so an amplifier is needed to get enough volume and sound quality. With the SXFI amp, you don’t have to worry about it as it has enough power on its own. It has a built-in DAC (digital-to-analog converter) and amplification, so you can use it as is without the SFXI technology. Though it does slightly increase phone battery consumption it isn’t a significant change. In the end, the soundstage expansion is fantastic and works like a charm, though it does limit the sound quality somewhat. You have to hear it in real life to really understand what we’re talking about here. Because it’s testing new waters, you might be skeptical which is fair. But don’t hesitate to try it yourself if you have the chance. 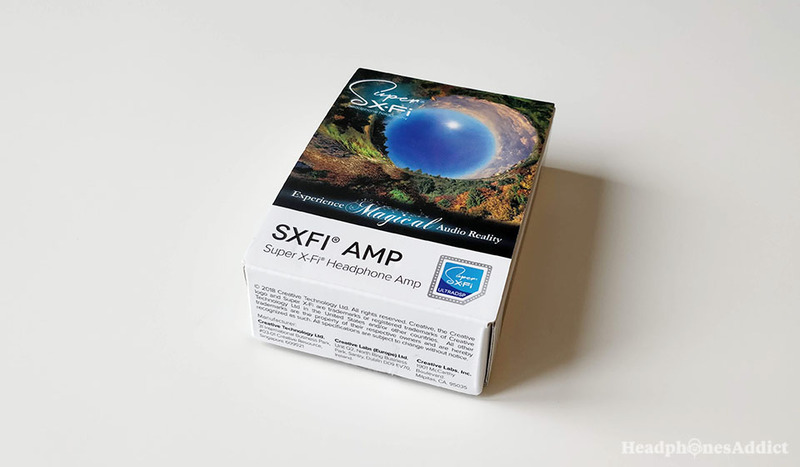 Super X-Fi is a fantastic technology that’s a perfect add-on for any audiophile and music enthusiast that wants to extract the most out of any pair of headphones and get a speaker-like listening experience.